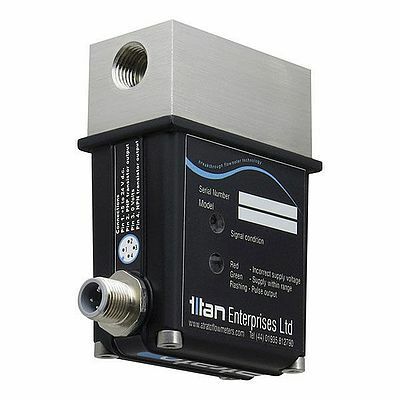 Designed to IP65 standards the Process Atrato ultrasonic flowmeter from Titan Enterprises is built for use in industrial process and control environments. Rated for use up to 65°C and 20Bar the compact Process Atrato is available in 4 models operating over flow ranges from 2ml/min to 15litres/min, featuring an accuracy of ±1% over the whole flow range. Each Process Atrato is calibrated with a pre-set 'K' factor so all meters of the same flow range are fully interchangeable simplifying assembly and set-up procedures for OEM manufacturers looking to integrate the flowmeter into their process and control set-up.